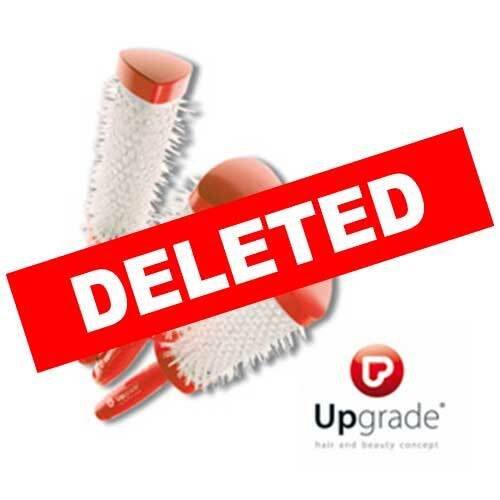 RED ANGLE is anti-static brush, professional and above all very technologically advanced. The concave triangular shaped structure facilitates the fold -drying because it uses the angle of the brush for a tighter hair hairstyles allowing perfect, which is smooth moves, and outstanding volume. The bar radiant Titanium gives lightness, strength and a constant emanation of heat. The bristles are innovative materials combine ions and nano- technology, making the brushes antibacterial and anti- fungal. With the release of negative ions hair stays healthier, shiny and strong. The brushes are available in 3 different diameters : 33, 43 and 53 mm, allowing hairstyles are always new.